Things you MUST have do before we can move you. The complete professional guide on packing and moving. We at Canton Move It Now pride ourselves on moving and delivering your items without damage, but occasionally accidents can happen. Fortunately, Canton Move It Now offers limited liability insurance FREE on every move that we do for residential and commercial moving. On home and business moves, most states only require a moving company to offer 60-cents per pound, per article for basic valuation. At Move It Now, we go an extra step above that and offer limited liability moving coverage at $2.25 per pound at no additional charge. If an accident occurs during your move, a copy of a claims form will be given to you for completion, or call our office and your claim will be processed. Canton Move It Now offers an additional layer of protection when it comes to insurance through our Full Value Protection plan. By purchasing this additional coverage, you can insure and cover your possessions for the full value they are worth. Just call our office and we will be happy to supply more information and rates. 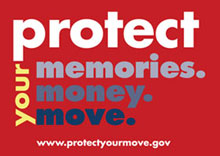 Canton Move It Now provides the basic federally mandated valuation insurance per pound, per article. You also have the option to purchase a higher level of valuation insurance through Full Value Protection for an additional premium charge just like with a local move. Get answers to your questions about our responsibilities and yours during the moving process here. Things to consider about planning a local or long-distance move.